We all want to express the way we are feeling to those around us, and our eyes are the first and most important tool we use everyday for non-verbal communication. Yet because of aging or heredity, our eyes can actually deceive those around us. Bags, extra eyelid skin and puffiness can lead others to believe we are sad, angry and tired, when in fact we feel quite the opposite. 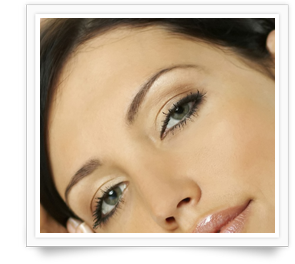 Eyelid surgery can do wonders for storing the youthful, rested look to your entire face. Lower eyelid blepharoplasty is used to remove the fat deposits that may form on the lower eyelids with age. Many factors, including heredity, smoking, allergy and sun damage accelerate these changes. Younger people also elect to have this procedure done to eliminate puffiness of the eyes from congenital excess fatty tissue. upper eyelid blepharoplasty, facelift or forehead lift, and can be combined with laser or chemical resurfacing to smooth skin wrinkles. When overhanging of the upper lids interferes with peripheral vision, and both upper and lower eyelids are done at the same time, the upper eyelid procedure may be covered by insurance. Lower eyelid blepharoplasty can make a remarkable difference in the appearance of the face, alleviating the appearance of tiredness and old age beneath the eyes. The eyes appear fresher and more youthful, and the results may last for many years. The degree of improvement varies from patient to patient. Important note: Lower eyelid blepharoplasty will not eliminate dark circles, fine lines or wrinkles around the eyes, or alter sagging eyebrows. To enhance the results of your eyelid procedure, Dr. Walker may also recommend: 1.) A brow lift to correct a drooping brow and smooth the forehead, 2.) A facelift for saggy jowls, and/or 3.) Skin resurfacing to eliminate fine lines. How is lower eyelid blepharoplasty performed? An incision is made along the lash line. Excess fat, muscle and skin are removed. Fine sutures are used to close the incision. Permanent stitches will be removed 3-5 days after the procedure. If you have a pocket of fat beneath your lower eyelids, but do not need to have any loose skin removed, Dr. Walker will recommend a transconjunctival blepharoplasty. In this procedure the incision is made inside your lower eyelid, leaving no visible scar. It is usually performed on younger patients with fatty lower eyelids. Transconjunctival blepharoplasty does not tighten the skin, but nicely reduces the puffiness in the lower eyelid region without visible scars. Incision is closed by a crimping technique, heal naturally without sutures. Lower eyelid blepharoplasty generally takes about one to two hours to complete, depending on the technique used and the extent of the repair. Do I have to stay in the hospital? Lower eyelid blepharoplasty is performed on an out patient basis, in the ambulatory surgical suite under local anesthesia, sometimes with light sedation by mouth. How much pain is there? After surgery, the physician will lubricate your eyes with ointment to reduce dryness in this area. Your vision may be blurred temporarily from the ointment. The first two days after surgery, you should rest quietly with your head elevated. It will help to apply cold compresses to your eyelids. Dr. Walker asks that you keep your eyes closed for 24 hours after the surgery (peaking to eat and go to the bathroom). Although you can be up and about after 24 hours, you should limit your activities. At first the incisions will probably be red and somewhat bumpy. Eventually, the resulting scar should become flat and inconspicuous. Your sutures (stitches) will be removed sometime within the first three to five days. The swelling and discoloration around your eyes will gradually subside, and you'll start to look and feel better each day. Swelling and bruising varies considerably from person to person. Bruising typically disappears within seven to ten days. Within the first week you will be permitted to use makeup, if desired, to conceal any discoloration. Your vision may be somewhat blurry for a few days or longer. Your eyes may be temporarily sensitive to light, and you may experience excess tearing or dryness. You may receive eye drops to help relieve any burning or itching. Dr. Walker recommends lying quietly with eyes primarily closed for the first 36 hours after eyelid surgery. What is the long-term outcome like for most people? The more alert, youthful look that this surgery provides is usually long lasting. Thin scars may remain slightly pink for several months or so, but can easily be concealed with makeup. They eventually fade to a thin, nearly invisible white line. The removal of fat is permanent, but the looseness of the skin and fine wrinkling of the eyelid area may return in the future. Even though the aging process continues, patients are usually happy with their appearance for many years following eyelid surgery. Who is the ideal candidate for lower eyelid surgery? With no known medical conditions such as uncontrolled high blood pressure, circulatory problems, hypothyroidism or other thyroid related conditions. The above is only a partial list of the criteria that Dr. Walker will consider in determining whether or not this procedure is appropriate for you during your consultation. Are you ready to take your first step to a new you? Start by scheduling an initial consultation with Dr. Walker and his staff by calling 607-729-5085 or by filling out the form at the top of this page and we will call you to schedule a convenient time for your visit to our office.